Why waste your time searching for the best place to buy clothes, electronics, toys, and other essentials when one store has it all? LightInTheBox superstore carries everything you need from wedding dresses to digital cameras at a discount. Add an all-purpose Light in the Box coupon code to your order and save even more on their already great prices. Save up to 80% off plus 50% off expedited shipping. Save up to 75% or more on lighting, decor, bed & bath, and much more. Your fantasy of finding exactly what you want to buy at a great price is finally about to come true. LightInTheBox transforms shoppers’ dreams into reality and banishes their nightmares to wholesale oblivion. Add on a Light in the Box coupon code and you'll have yourself a new favorite place to shop. LightInTheBox.com is a champion of global online retailing, offering jaw-dropping prices (because they’re so low) on items for most every interest or need. Looking for tattoo machines? They’ve got ‘em. How about wedding dresses, handbags, wigs, faucets, cell phones, oil paintings, Tiffany lights, security systems, jewelry, shoes, anime costumes, skis, or harmonicas? A big “yes” to all of those. Ready for more? Little black dresses, watches, soccer balls, mens fashions, nail polish, cameras, baby monitors, toilet roll holders, rugs...you get the idea. When they say they have everything, they mean they have everything. Some more good news: every LightInTheBox product undergoes extensive testing and quality control procedures that ensure all items purchased meet global quality standards. Nice. LightInTheBox prides themselves on serving the global customer, so that means you. They provide a wide variety of payment options, including major credit cards, debit cards, wire transfers, Western Union, and PayPal. For your protection and peace of mind, VeriSign’s secure payment technology keeps your information safe at all times.They offer comprehensive customer service every step of the way, and representatives are always available to handle questions or concerns through their website’s simple steps ticket system. Their partnerships with shipping experts like DHL, EMS, and UPS enable LightInTheBox to deliver to over 200 countries around the world. A wide variety of shipping methods and options allow you to choose what works best for you. Now that you know about LightInTheBox, give them a try the next time you want to buy something. Like, now. Get even more savings off their already incredibly low prices by using a LightInTheBox coupon code to buy that tattoo machine of your dreams. Or something else. Up to you. You can find just about anything you want at a fraction of the price of other stores at LightInTheBox.com. This Internet superstore has a massive selection of products from electronics and sports equipment to wedding dresses and makeup for super affordable prices.. To get an even better deal follow these instructions to cash in on big savings with a LightInTheBox coupon code. Step 1: Select a LightInTheBox coupon code. After finding the LightInTheBox coupon you’d like to use, click on “Get Deal” or “Get Code.” A new window will pop open when you click on the button. Step 2: Copy the LightInTheBox coupon code. If CouponPal offers you a LightInTheBox coupon code, copy and paste from the pop-up window. Make sure you keep this window open in case you need it later. If there is no LightInTheBox special code, it will say “No Code Required.” You can skip the step of copying and pasting. Your promotion will automatically be applied when you click this link. Step 3: Shop at LightInTheBox.com. After you have clicked on the “Get Code” button, your window will be redirected to LightInTheBox.com. On the homepage, you can shop by department (weddings and events, home and garden, fashion and clothing, etc. ), or you can search for a specific item. Register a new account if it’s your first time on the site, or sign into your account if you’re a returning customer. In the appropriate box, copy and paste your LightInTheBox coupon code. If no coupon code was given, your discount will be applied automatically at checkout. I landed my dream job just two months out of grad school. I needed to take my look from college town to big city but I didn’t have time or money to spend shopping at department stores or pricey boutiques. A co-worker came to my dress distress and suggested that I visit LightInTheBox.com to shop their incredible selection of women’s clothing. In just a few quick clicks, I was able to start building my work wardrobe. I even scored a LightInTheBox coupon code and was able to use the extra savings to buy some matching accessories. From the LightInTheBox homepage, finding great clothing took no time at all. There are a variety of search options, starting with all the different categories including Fashion, Electronics, and Gadgets along with subcategories like Women’s Basic, Boho, Cute, and Casual Clothing, off to the top left hand side. 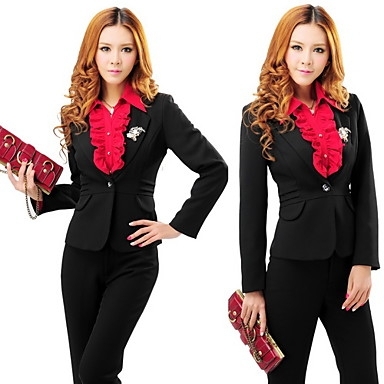 Since I already knew what I was looking for, I used a keyword search at the top of the screen, entering pieces like women’s blazer, cardigan, slacks, and business dress. I was also able to narrow down the results by relevance, new arrivals, or price. I selected a few staples like the TS Velvet Little Black Dress and the Ruffle Hem Blazer in Wool. By combining markdown prices and a Light In The Box coupon code I was able to afford to buy classic investment pieces without leaving my wallet threadbare. The money I saved from the LightInTheBox coupon code from CouponPal even allowed me to splurge on a functional everyday bag, the Women’s Contrast Color Satchel and some Elegant Leather Pumps, which completed my collection. LightInTheBox helped me feel and look the part of a young professional. The clothes I bought from LightInTheBox helped me stand out and get noticed from morning meetings all the way to happy hour. Their easy to use site, low one world, one price strategy, and quick shipping set them apart from the sea of other online clothing companies. Without the hassle and markups of the mall, I was able to order the clothes I needed in less than an hour of logging on, all from the comfort of my own home. With standard shipping, I received all my pieces within a week. Whether you’re entry level, corner office, or an entrepreneur – I highly recommend LightInTheBox to any budget conscious career woman looking to step up her fashion and fiscal game. Maximize your savings by using a Light In The Box coupon code at checkout and move up on the savings ladder. You don't need a designer label for a runway look. You don't need to break the bank for fun electronics and sporting goods. LightintheBox.com is your one-stop shop for savings on just about everything. If you're having any trouble using a LightintheBox coupon code, glance at these common questions to find your answer. Why isn’t my LightintheBox coupon working? The most common reason for Light in the Box coupons not to work is that the coupon has expired. If you try a coupon from our site and it doesn’t work, be sure you checked the expiration date or any restrictions that may apply, such as a minimum purchase value. Also, keep in mind that coupons are store-specific, so a Light in the Box coupon will only work at LightintheBox.com, and coupons from other stores won’t work for this store, even if the product you want to purchase is the same. How much does shipping cost? Do you offer Light in the Box free shipping coupon codes? When there is a Light in the Box free shipping coupon code, you can be sure we'll have it, so be sure to check CouponPal.com for the latest deals and promotions. Where does LightintheBox.com ship to? Light in the Box ships to almost every country in the world. You can view a complete list of countries they ship to here. Shipping times and costs vary by country and region. Most items from Light in the Box are eligible to be returned for a refund within 7 days of being received. Products must be returned in new condition, or you won’t receive a refund. Light in the Box will only pay shipping for returns due to mis-shipped or missing items. For general returns, you will be responsible for shipping costs. You can read the full return policy here. How can I contact Light in the Box customer service? If you want to contact customer service before making an order, the easiest way is through Live Chat. Click the icon at the top right-hand side of the page to begin an online chat with a representative from LightintheBox.com. If you have questions about an order you already placed, log in to your account and click on “My Orders.” Here you can track your order’s progress or request help from the “Order Details” page. Can I use more than one Light in the Box coupon code for a single order? No, LightintheBox.com does not allow coupon stacking. You may only use one coupon code for Light in the Box per order. How do I know if a coupon is valid? What are the coupon restrictions? At CouponPal, we do our best to make sure only valid coupons are on our pages. Sometimes, however, we might miss one or two that have expired. You can check if a coupon is valid by looking for its expiration date and making sure the date hasn’t passed yet. To view coupon restrictions, click on the “i” or Information symbol on the LightintheBox coupon, and you will see if there are any requirements that apply the discount to your LightintheBox.com order. Most Light in the Box coupon codes require a minimum purchase value in order to be applied. I found a great coupon. How can I add it to your page? At CouponPal, we search the web for the best deals and add them to our site, so that we can be sure to offer valid, useful coupons. To that end, we do not currently allow third parties to post coupons to our site. We like to hear suggestions, though, so shoot us an email at contact@couponpal.com to let us know about a new coupon or with any other suggestions.